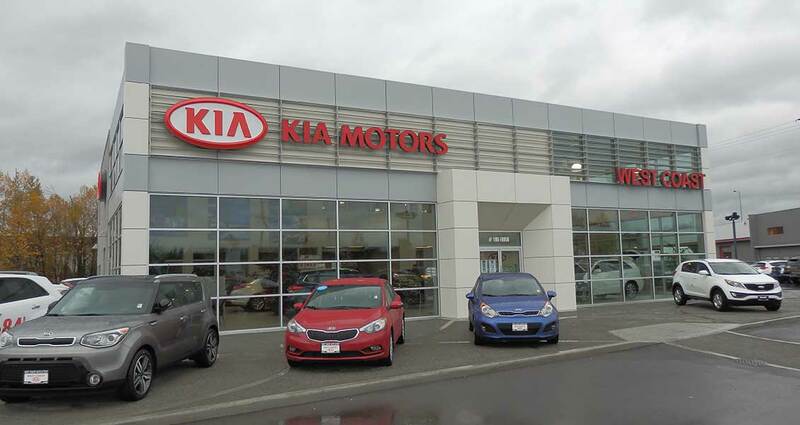 The new West Coast KIA Dealership is a two-storey building consisting of showroom space, offices, parts storage and service bays. The use of composite aluminum panel system, curtain wall, and pre-finished fibre cement cladding render the building facades both immaculate and elegant. As an improvement, the new parking layout allows complete access from all adjacent businesses and provides additional inventory space for the client. The project is now completed and fully operational.